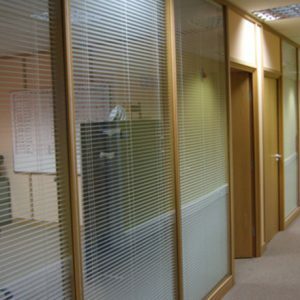 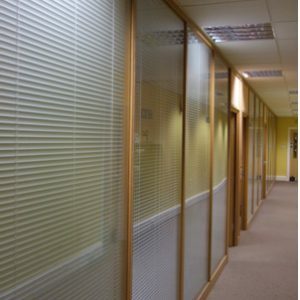 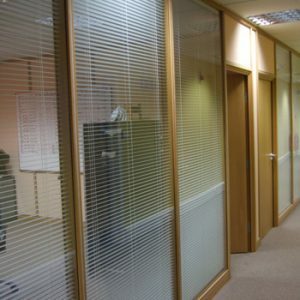 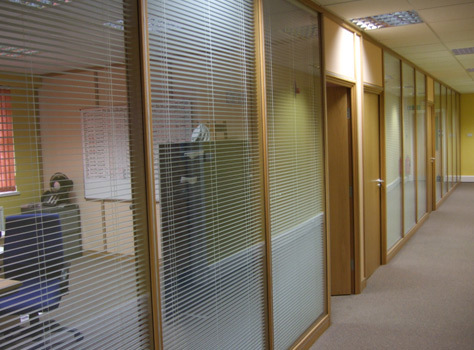 For this project, we installed a system of veneer office partition walls, along with full height double glazed modules and Venetian blinds. 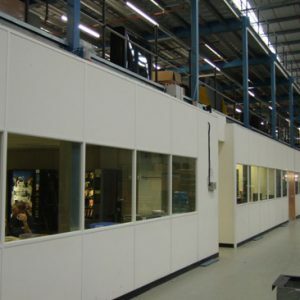 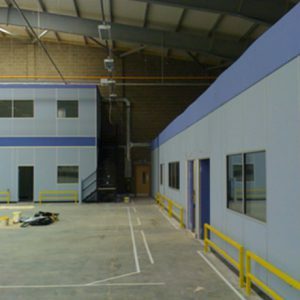 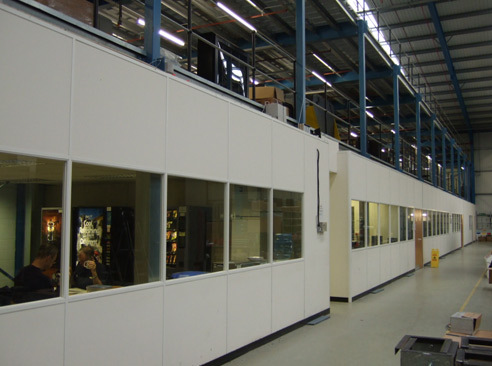 They required two-tier mezzanine floors with offices on the lower ground level and manufacturing occurring on the second level. 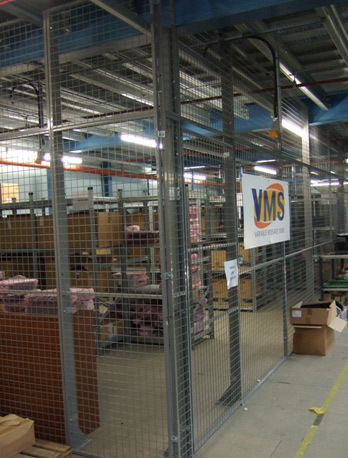 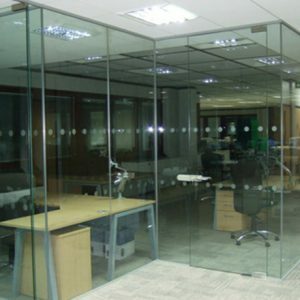 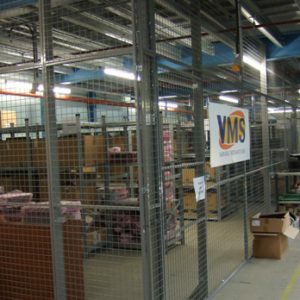 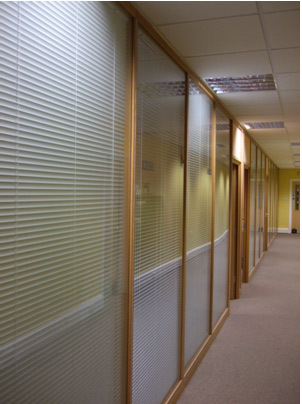 The office refit was finished off with a mesh partitioning to form secure storage areas.